ACS 200 Extra Strength is the only antimicrobial proven to kill Borrelia burgdorferi and coinfection agent Powassan virus. The leading silver-based supplement, ACS 200 achieved 99.9999% (complete) kill against Borrelia burgdorferi in less than 8 minutes as determined by independently-derived, in vitro, benchmark kill-time studies. This data provides the scientific basis for using ACS 200 as an effective anti-Borrelia agent. In the clinical setting, many practitioners currently prescribe ACS 200 to their Lyme patients with excellent outcomes. Dr. Burgdorfer described similar in vitro testing results using a silver preparation. He surmised that silver disables the enzyme(s) used by bacterial, fungal and viral agents for their oxygen metabolism causing them to suffocate upon contact. 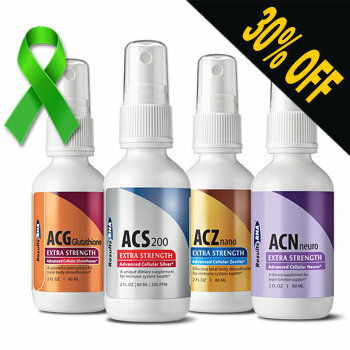 There have been reports of elimination of late-stage Lyme symptoms using ACS 200 Extra Strength. Most sufferers of Lyme disease suffer from toxicity of heavy metals. Heavy metal toxicity suppresses immune function and prevents healing. A powerful oral detoxification agent, ACZ nano selectively and irreversibly binds and excretes toxic heavy metals, such as Mercury and Lead, chemical toxins, radioactive toxins and free radicals via the urinary tract, without removing vital nutrients. These results have been verified in multiple, independent urine challenge studies. Removing damaging toxins is vital for Lyme sufferers if health is to be restored. As ACS 200 kills the Lyme-associated B. burgdorferi, various toxins are released and can cause a “die-off” or “herxheimer reaction”. ACZ nano Extra Strength mitigates typical die-off reaction by binding toxins and sub-particles released from the dying Lyme organisms. ACZ nano also increases alkalinity by binding free radicals and acids. Tissue alkalinity is required for the body to heal, especially the neurological system in people affected by Lyme disease. GSH is especially important for brain cells and other components of the nervous system at risk for damage from the highly toxic Lyme organism, B. burgdorferi. The tri-peptide, Glutathione is the most important anti-oxidant in the body. GSH prevents damage to important cellular components caused by reactive oxygen species, such as free radicals and peroxides. Low Glutathione levels are proven to make us susceptible to chronic illness. The latest research shows that nearly all chronically ill patients suffer from Glutathione deficiency. ACG Glutathione Extra Strength intra-oral spray is an important breakthrough in GSH supplementation. Previously, the only effective route of administration was IV and very expensive. Independent clinical research has demonstrated an increase of intracellular levels of GSH by over 10% after only 7 hours of intra oral administration of ACG Glutathione. Lyme disease can cause significant neurological issues, resulting in migraine headaches and severe brain fog to name a few. Neuro Care Extra Strength improves memory, alertness, improves mood, cognitive performance, psychomotor functions and mental clarity and increases cerebral blood flow; reduces mental anxiety and stress; specifically on brain cells. Neuro Care Extra Strength also reduces neuroinflammation, acts as a neuroprotector and affects the central nervous system. There are complex factors that contribute to the many health issues associated with Lyme disease. When taken together, the Ultimate Lyme Support System is highly effective in broad support. For anyone questioning if this works or not….. BUY IT!!! My little girl was on a PICC line- very little change. We went on this – three of us in our household have Lyme, it changed our lives. Spend the money for two months!!! It will rock your world. For a review it asks to tell people about my results using RNA. I’m happy to do this because after all these years of suffering something is finally making a difference! In 1996 – 97 I started not feeling right. Until 2010 and a multitude of doctors I was misdiagnosed and lab tests were false negative for Lymes! My teaching, then my art career collapsed due to pain, sickness and weakness with very low stamina. 2010 my GP sent me to a lymes doctor. I tested positive for lymes, bartonella, Babesia, mycoplasma and 2 autoimmune with a few other things dribbled in there. I was not surprised. The course of action antibiotics. Lots of them. To date I still have lymes, bartonella, Babesia, mycoplasma and systemic Candidiasis but on February 8, 2016 I purchased RNA Ultimate Lyme Support. My Lyme doc wanted to do Silver IV secondary to UVB IV at 900.00 a treatment. My thought was RNA is Silver, I’m doing RESULTS RNA System. Since using the RNA system I’ve noticed hours, then more time, then even less fear of making plans with my children who are grown, without the fear of being too sick to follow through. I believe we are predisposed to autoimmune illness when we get lymes. I was diagnosed with Lupus and Sjogrens. Periodically my ANA ( antibody autoimmune marker) goes down slightly with the killing of lymes. Recent blood test showed my autoimmune illness ( Lupus and Sjogrens) non active. Lupus was non existent. My immune system is coming back. Glutithione is very important for us lymies. I suffered for years with failing health and finally in March of 2015 I was tested by alocal LLD using the Igenx block test. Where I had tested false negative with the CDC local test, this finally indentified that I indeed was infected with Lyme, babiesia and borella coinfections. I was on the floor and could hardly move when I first started traveling down this path of treatments, many anti-biotics, pro-biotics, vitimins, PICC line was also installed so I could push IV meds twice a day. This lasted for months on end with little to no results. I had done some reading on your product and talked with several other local folks infected with Lyme and they had nothing but high praise for Results RNA. I ordered my first time the 2 oz bottles and used (6) six sprays twice daily. In two weeks I increased that dosage to (12) twelve sprays each twice daily. I started to see and feel great relief during the second order of the 2 oz. bottles. I have since purchased the 4 oz bottles and my life has truly improved for the better. At this time, I have since stopped using any anti-biotics and all the other meds that were perscribed by my LLD. I have been Very ill for quite some time with Lyme disease and Bartonella. I have had this for probably more than 25 years. 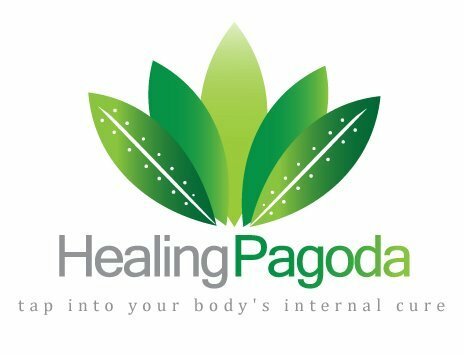 It is my understanding Bacterias And Parasites can lay dormant in your body For many years. I went through a very stressful time and a car accident, that is when I began to get very ill. I have spent thousands of dollars on products and probably thousands of hours researching for a cure. No medical doctor has helped me, including my medical doctor of 20 years in which I am very disappointed in him. I went to an infectious disease doctor with no help from her whatsoever, also a rheumatoid doctor that tried to tell me I had fibromyalgia, and said ,well she has over 100 patients with Fibromyalgia. Funny thing there is no Test for fibromyalgia but there is for Lyme disease, Problem is they are only testing for one strain of Lyme disease And it’s my understanding There is over 100 strains. Western Blot test with your doctors office is not an accurate test that you can depend on. I finally had the Lyme AB Screen test, And there it was positive. The rheumatoid doctors still tried to deny I had Lyme disease… Guess she just couldn’t back down off of her Fibromyalgia diagnosis. 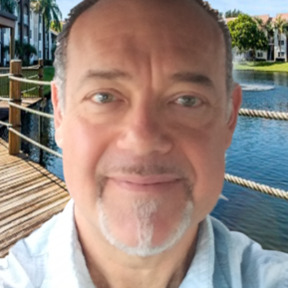 I took the test results to my doctor and he diagnosed me with Post Lyme disease Syndrome, Although I had never had treatment in the past for lyme. So even that diagnosis isn’t totally correct. I would say It is Lyme disease, no post about it. So after almost 5 years of going through this horrible nightmare, I found Results RNA products. Their products work. I am finally getting well. I am so grateful to this company And their products. I just can’t Express enough gratitude and thanks for what they have done Because I believe this is saving my life. I honestly believe I would have died had God not led me to this company and their products.